And so, people did. These days, “Imeldific” or having the “Imelda Marcos Syndrome” refers to people who tend to be extravagant and are not afraid to flaunt it. 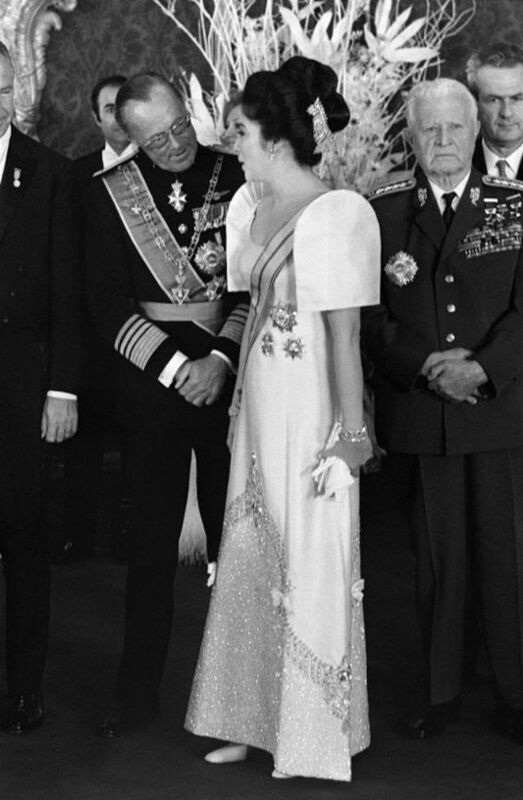 Imelda Romualdez Marcos, a former first lady, is etched in history as a woman who dreamed of beautiful things and got them, as the driving force behind her equally phenomenally ambitious husband, as a woman accused of raking in billions with Ferdinand Marcos during his dictatorship – and as the Iron Butterfly. To victims of martial law and their families, her name (along with her extravagance) still brings horrific memories. This was, after all, a regime with a long track record of torture and murder. 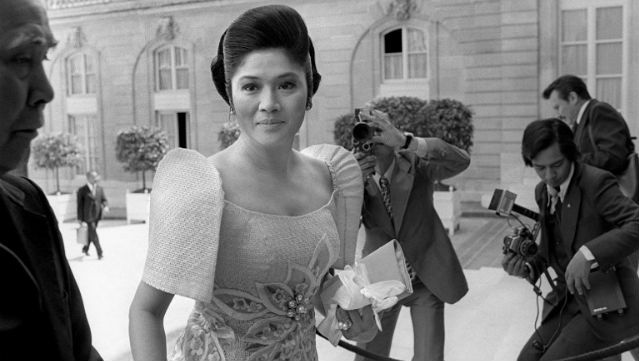 But to some, the name Imelda Marcos reminds them of a fashion icon. “I did not have 3,000 pairs of shoes. I had 1,060,” Imelda was quoted as saying in 1987. She is living proof to women that one can never have too many shoes. 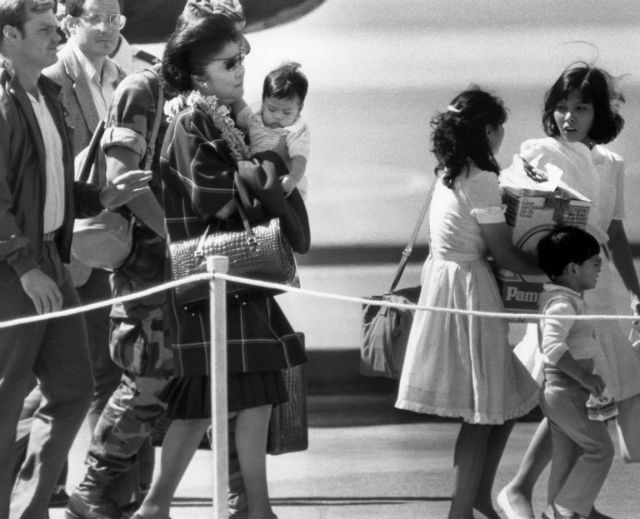 When she and her husband fled the country on February 25, 1986, it was reported that she left behind luxurious items such as mink coats, hundreds of gowns, about a thousand handbags, jewelry, and over a thousand pairs of shoes. Around 800 of these shoes are now housed in a museum in Marikina. Most of the shoes on display have been damaged by flood, mold, and termites. 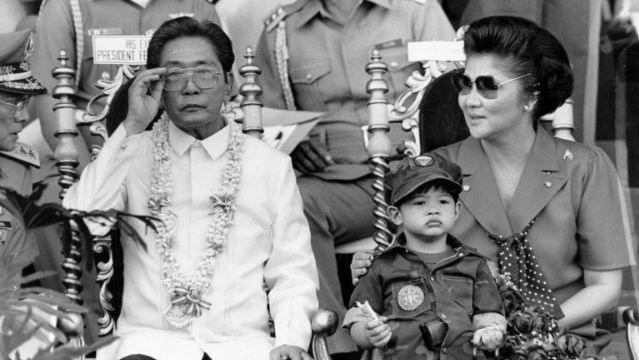 READ: Marcos jewels to be finally shown? 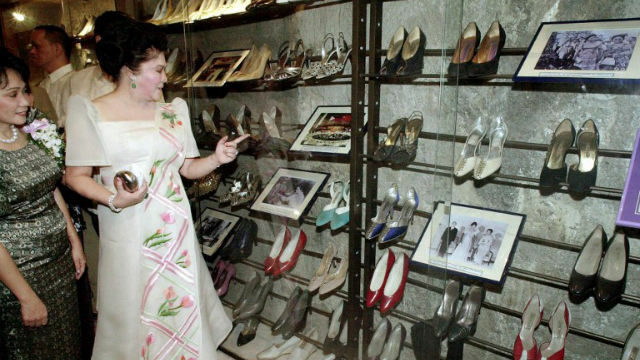 In her interviews, Imelda would often say that a good number of her footwear came from Marikina shoemakers. She wore those shoes during her trips abroad to promote them. 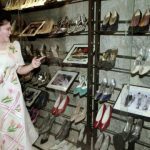 However, at the Marikina shoe museum, it is rather hard not to notice other popular brands like Chanel, Charles Jourdan, Christian Dior, Salvatorre Ferragamo, Gucci, and Prada. Though Imelda wore a lot of stylish clothes, it is the “terno” along with its butterfly sleeves that became her staple. During her husband’s 20-year rule, she made the Philippines popular during her trips abroad through her fashion choices and her charm. Imelda adored beauty and she was not afraid to show it with her hair almost always perfectly coiffed and her already beautiful face often made up. She was first lady and she made sure she looked the part – on any occasion. Fashion magazines would often compare her with Jacqueline Kennedy. In her numerous trips abroad, Imelda would often find something she would like to bring home to Manila. She dreamed of a Manila that was equal to the world’s best cities – which it was in the past. When Imelda became governor of Manila during martial law, she earnestly began projects aimed at transforming the capital – but without the guidance of historians who were in her circle. It was her love for beautiful clothes, cosmetics, and perfumes that drove her mission to beautify Manila, starting with flower boxes as part of her beautification campaign, and later boarding up the city’s slums to conceal them from view. She was quoted as saying she was “allergic to ugliness.” But the city was reduced to its uniformly edificial look during the Marcos regime – a completely different animal from the Manila chronicled by Nick Joaquin. Meanwhile, the country’s social picture – disappearances, mass detentions, human-rights violations, unbridled corruption, the deterioration of the public welfare – became uglier. 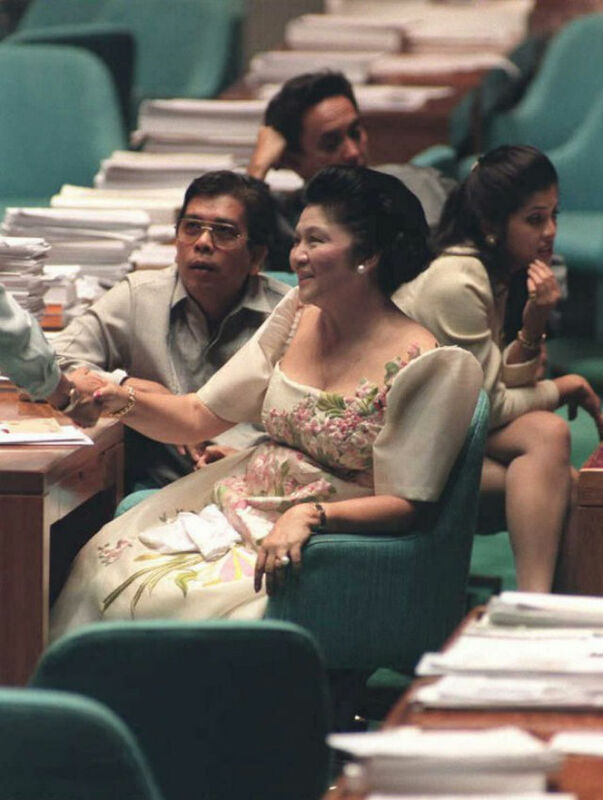 In an environmentally challenged era, Imelda Marcos began reclaiming land along the Manila Bay in the late 1960s and built the Cultural Center of the Philippines – which its critics branded as an extravagant edifice and as a mammoth mausoleum that would seal in art and culture rather than bring it closer to the Filipino people. Other buildings that became associated with the “edifice complex,” as this Imeldific facet now came to be called, include the the Folk Arts Theater, the Coconut Palace, the Philippine International Convention Center, and the Manila Film Center, which was rushed to completion in time for a prestigious film festival – and this led to a horrific accident that killed more than a hundred construction workers. The Manila Film Festival of 1982 was envisioned to rival Venice and Cannes. Today, the building is a ghostly condemned property, another ugly legacy from the Marcos years. 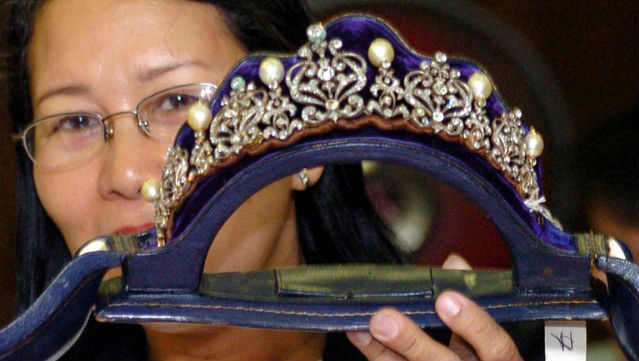 READ: Imelda Marcos, shoe in for second term? 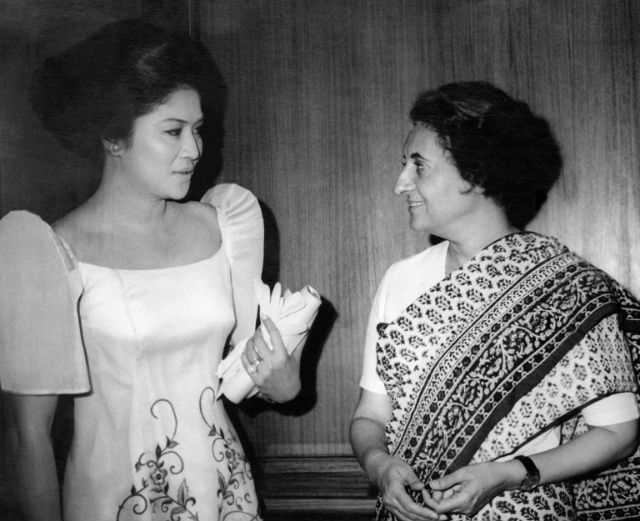 Imelda was also her husband’s envoy, style and beauty in tow to charm other leaders. From Iraq’s Saddam Hussein to Libya’s Moammar Gaddafi, Cuba’s Fidel Castro, and China’s Mao Zedong, Imelda charmed them all. She was quoted in an interview as saying that Cuba’s former dictator once told her he only drove for two women – his mother and Imelda. Chairman Mao praised her “natural beauty,” and her visit to Libya helped facilitate the signing of the Tripoli agreement to resolve the Moro rebellion in Mindanao. Her friendship with some of the world’s most notorious leaders transcended her husband’s rule. 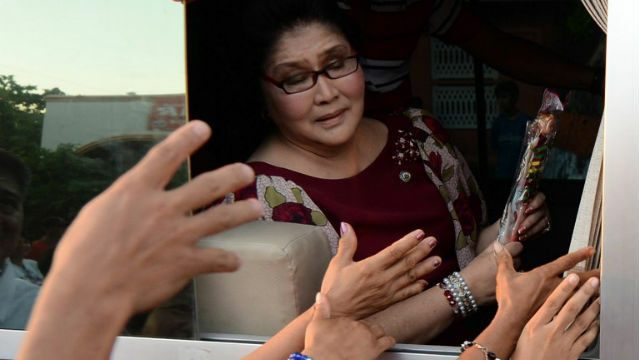 When Imelda was on trial, Saddam sent his people to her in New York to offer help. Former military governor of Panama Manuel Noriega sent her a book while she and her family were in exile. Imelda Romualdez was born in 1929 in Manila. When she turned 9, her family moved to Leyte following her mother’s death. She took up education at the St. Paul College of Tacloban. She joined beauty pageants and was later crowned “Rose of Tacloban,” “Miss Leyte,” and “Miss Philippines” for the Philippine-American Friendship celebration. In 1953, she met Ferdinand Marcos who was then congressman of Ilocos Norte. After an 11-day courtship during the Holy Week, the two were married by May. The couple then rose together up the political order, swiftly making it to the top, and the rest was history. These days, Imelda – besides being the ever incorrigible politician – remains a fashion and pop-culture icon. It is a distinction that goes with a complex baggage: the “conjugal dictatorship” – to borrow the title of a book by Primitivo Mijares, a former Marcos aide who disappeared soon after that book’s publication. His 16-year-old son would thereafter be abducted, tortured, and killed.